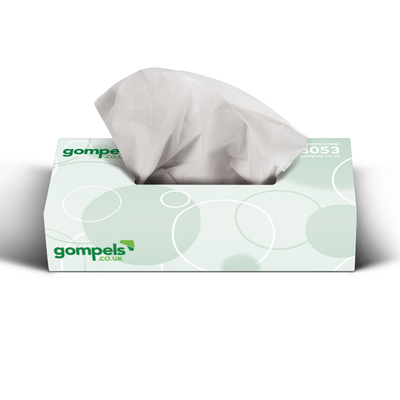 From stocking up your front desk through to ensuring every office colleague is equipped for the colder months, our Facial Tissues 2ply 100 are a smart option. Each sheet has been manufactured form 2ply tissue and comes in a versatile white tone that slips in professionally with all environments. Provided in a sturdy, cardboard box with a perforated opening on the top, this economic choice features tissues that have been folded to allow a single sheet to be removed at once. Perfect for everything from wiping up spills through to tending for cold-ridden noses, these gentle tissues are an essential addition in all environments from nurseries through to care homes. We also stock these sizeable facial tissues in a larger, multi-pack of 36 boxes for high-traffic environments or simply to keep your stocks constantly full.